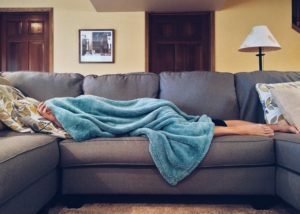 Whether you are a frequent or a novice traveller, preparing for a trip can be exhausting, time-consuming and an anxiety trigger for a lot of us. Did I pack the right clothes? How will I communicate? Will I have time to exercise? 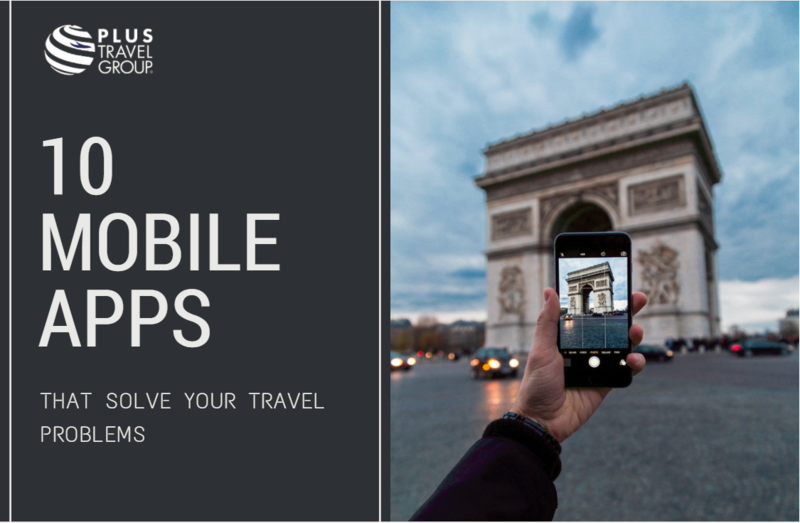 We’ve compiled 10 mobile apps to help solve your travel problems, make your travel preparations easier, and your trips much more enjoyable! Don’t waste days adjusting to jet lag! Download Jet Lag Rooster instead! 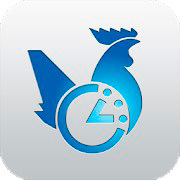 Jet Lag Rooster is an app developed by Swan Medical Group that uses science to help you overcome jet lag. You simply input your sleeping patterns and trip information and the app creates a sleep/wake and light/dark exposure schedules. 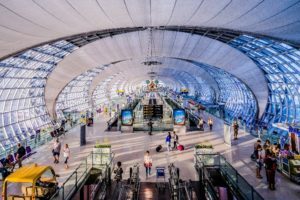 You can choose whether to start adjusting your jetlag before the trip, upon plane departure, or upon your arrival. 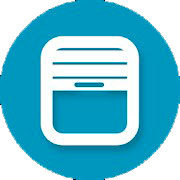 The app has been featured by several writers and news outlets like Independent, BBC, and CNN, among others. Click here for more information! Have you ever reached your destination only to discover you didn’t carry the right clothes for the weather? PackPoint is here to help! No need to crowd your head with packing reminders before your trip anymore. Brush off the “I feel I forgot something but don’t know what it is” feeling and download PackPoint. PackPoint is an app that uses artificial intelligence to generate your own customized packing list. 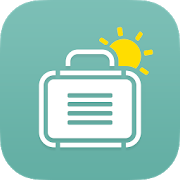 It takes into account your trip duration, weather forecasts, nature of the trip (business vs. leisure), and your planned activities to give you a list of all items you might need. It is also very useful if you are packing for a family or travelling with a baby. Click here for more information about the app! You can also watch a demo for the app in this YouTube video. Don’t give up on your exercise routine just because you’re travelling! Download AllTrails! 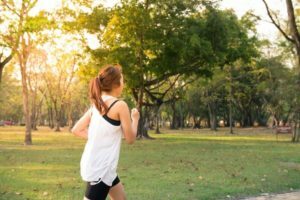 Even if you are in a place you have never been to before, you can keep up with your outdoor morning jog. 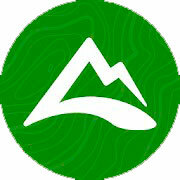 Download AllTrails and browse nearby hiking, bike, or run trails. Filter your results by reviews, distance, or difficulty level. You can also create your own trails and review existing ones. Check out these detailed reviews by AppStorm and Lifewire, or just visit https://www.alltrails.com/ or download the app and start hiking! Track your flights and navigate airports like you live there, through App in the Air! Dubbed as the “Best flight tracker for iPhone”, App in the Air has certainly gained its reputation of being the best flight companion a frequent traveller can have. The app tracks your flights in a fun simple way and provides its users with continuous updates on flight delays, weather conditions, airport waiting times, and much more! 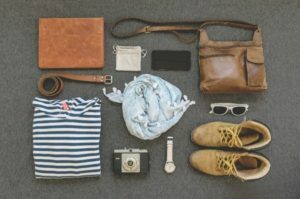 Got delayed and need to buy some essentials? Don’t worry! Just search for the item you want to buy, and App in the Air will show you where you can buy it in the airport. Bored? No problem! Interact with other app users in airport-specific chat through App in the Air’s social component. For past flights, App in the Air also tracks your miles and loyalty points and turns your travel history to achievements for which you can win 40 different badges! Click here to download the app. Struggling to keep up with your medications and supplements while on a trip? Why not do it while winning gifts and awards on the Mango Health App? 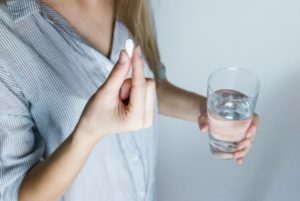 While not designed specifically for travellers, Mango Health is an excellent app for travellers who take daily medications and supplements and might find it hard to remember while travelling. The app reminds its users of their medications, and as users adhere to their schedules, they accumulate mango points that unlock opportunities to win gift cards and other financial rewards. You can also input habits like hydrating, weight watching, checking your blood pleasure, glucose levels, etc. and earn mango points for sticking to these habits too! 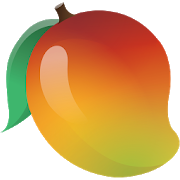 Visit the Mango Health website to know more about the app and the rewards system! 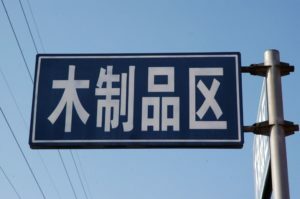 Need help translating another language, get Google Translate! Don’t let language be a barrier to enjoying your travels anymore! 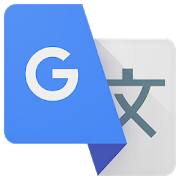 Download Google Translate on your iOS or Android device, give it access to your camera, then point your camera to the text you need translated and watch as the translation appears on your screen like magic. The app supports more than 100 languages and can translate up to 37 languages from a photo, 32 in conversation, and 27 in real time video. Kai tóra boreíte na apoláfsete to taxídi sas! Wanna know what that Greek means? Download the app and see ? 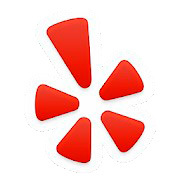 If you use Yelp to find nearby restaurant reviews, you will love the Yelp Monocle feature! This hidden feature can be found when you click the “more” icon on the bottom app menu. Through augmented reality and GPS technologies, monocle uses your phone’s video camera to pop tabs with nearby destinations and their reviews as you’re walking in real time. It’s like have a personal tour guide! Check out this video to see how it works. Don’t settle for that plain green salad just yet! 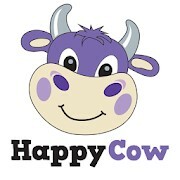 Download HappyCow and take your pick. Healthy eaters, Vegetarians and vegans would love this app! 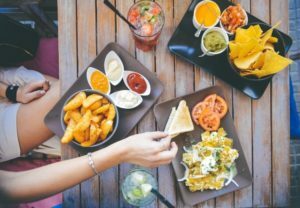 Stop wasting time browsing restaurant menus to see if they include vegetarian or vegan alternatives. Instead of settling for that plain green salad, download HappyCow and enjoy the festivities of over 50,000 food outlets in over 170 countries around the globe! You can also filter the results by distance, cuisine, ratings, and more. To know more about the features of the app and whether it is right for you, you can read this review. 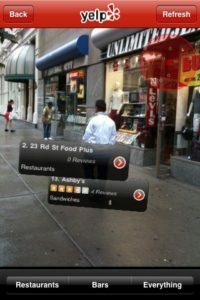 Who needs a tour guide when you have Google Goggles? 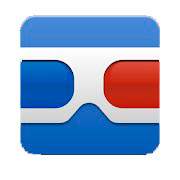 Google Goggles allows you to google images captured by your mobile camera. 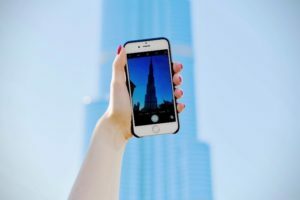 While it can help you search for any image, including logos, book covers, and everyday objects, you can also use it to get information about sightseeing’s and touristic landmarks and monuments just by snapping their picture. Unfortunately, it is only available on Android, however, iOS users can download the Image Web Search app which works the same way. 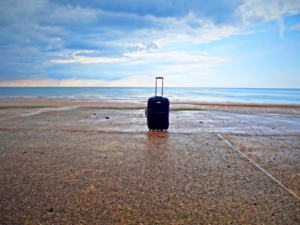 Track your luggage anywhere on earth with TrackDot! 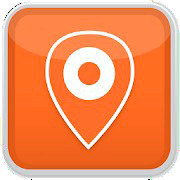 TrackDot is a small device with GPS and internet technologies, that goes inside your luggage and connects to an app that you download on your iOS or Android device. The device goes to sleep mode once the plane departs, and it is switched back on once the plane lands. It sends you messages of the location of your bags as soon as they touch the ground. The device is approved by the Federal Aviation Administration and should be allowed on the plane as long as you are not using lithium-ion batteries to power it up. You can order your TrackDot here on their website. It is also available on amazon and the apps can be downloaded through the App Store and through Google Play. There you have it. 10 Mobile Apps that solve your travel problems. So what are you waiting for? Click the download button on your device and explore!